This coaster is made from wood and on the base has four pads in each corner, ensuring your surfaces won’t be scratched or damaged. 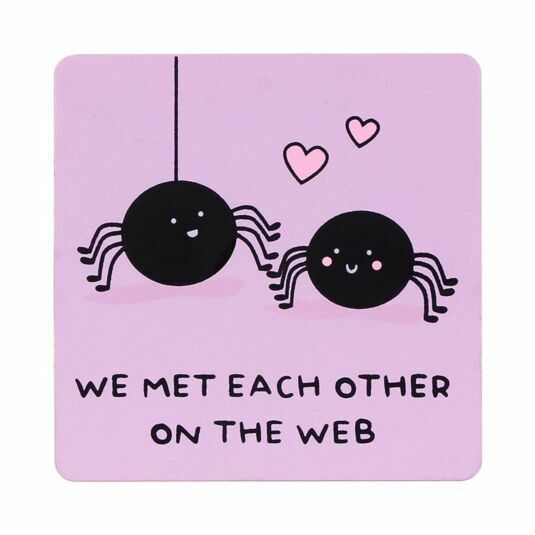 The background is purple with an illustration of two animated spiders that are gazing lovingly into each other’s eyes with love hearts floating in the background. 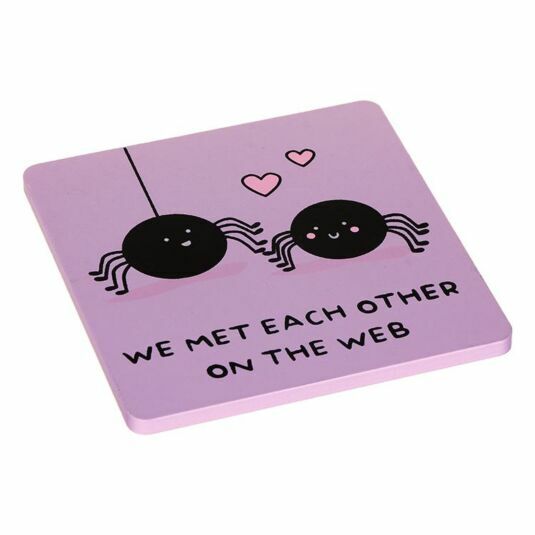 The words ‘WE MET EACH OTHER ON THE WEB’ are displayed underneath. This would be ideal for those who like silly puns or can’t go a day without the internet!